Thank you, Robert, Ed, and all the members of the 1401 team for your consideration of Jóhann's life and work. Just as we the old 1401 addicts, he fell in love with the magic of that huge metallic thing, and what came out of it became a major milestone in his career. Personally I am proud of my humble part in all that. Robert, I do not remember seeing as thorough a description of the idea behind the very successful performance of the 1401 A users manual by Jóhann and Erna Ómarsdóttir as in the correspondance between you and him, as seen in your other mail to me the other day. If you do not mind I should like to make that available to other fans of Jóhann. PLease let me know if you have any objection. With my warmest regards and thanks to you all of the 1401 restoration team. Ed, Ditto for this 43-sec video of a longer AM radio song — which one? I’m saddened and disheartened to hear this horrible news of Jóhann Johannsson's passing. He was only 48. His career was still expanding, recently authoring spectacular soundtracks for inspiring movies such as "The Theory of Everything”.. I first heard of Jóhann in 2007 (in preparation for the 50th Anniversary of the IBM 1401 event at the CHM in 2009), when I was casting about on-line trying to locate Fran Underwood. Googling had landed me on a CD review site where one Dorthy Underwood Harper (Fran’s sister) said she had given a copy of the “IBM 1401: A User’s Manual” CD to Fran for his 80th birthday! (review copied below). 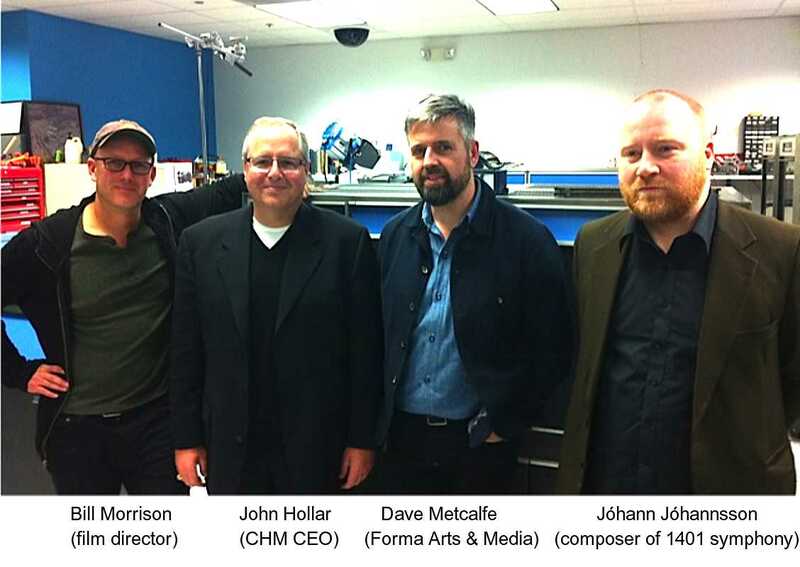 Later, Jóhann visited the CHM to experience our 1401s, hear the ethereal “AM Radio” sounds firsthand, and discuss his desire to extend his 1401 symphony as part of a new movie. He also became interested in working with Stan to “create new music on the 1401." Decommissioning & Farewell Ceremony of Iceland's first IBM 1401. Recorded by Johann Gunnarsson, et al.., March 12, 1971 at Klapparstigur 25 - 27 in Reykjavik, at the IBM Service Bureau. This was the last day of operation for a 1401 system in Iceland. We only had 2 of them altogether. Jóhann told me that the symphony's name was inspired by the book “LIFE: A User’s Manual” by Parisian Georges Perec, stories of people in an apartment in Paris around 8pm on June 23, 1975. From the jacket: “LIFE is a manual of human irony, portraying the mixed marriages and fortunes, passions and despairs, betrayals and bereavements, of hundreds of lives in Paris and around the world." Subject: Re: Wired article: "IBM 1401 Mainframe, the Musical"
I was happy to read your comments in the wired.com article on the IBM 1401 composition. I've been meaning to respond to your comments on Erna's choreography for the theater version of "IBM 1401, a User's Manual" which you sent a while ago (apologies for the late reply, b.t.w.). Firstly, it's unfair to expect people to fully appreciate of a piece of choreography based on a short low resolution snippet on the Internet. Even a full-length video documentation cannot do justice to a piece of work which is meant to to be experienced as a live-on-stage performance. A lot of the effect is lost. Also, context is a problem as the piece is 45-50 minutes in length and what you saw is only the first 10 minutes. Even so, I feel that some of the comments warrant a response. Erna is in such ostensible and writhing pain -- why? Erna's performances often provoke strong reactions, so we're not unused to comments such as this. We've preferred not to offer any one true interpretation of the piece, but instead asked people to read the background story and my notes on the various inspirations behind the piece (collected on http://www.ausersmanual.com). We've found that each person's interpretation is different and the that the piece resonates in different ways with different people. There is no one correct way of interpreting the piece. However, I will offer here some of the ideas that I feel are most prominent in the work. In creating the piece, we decided to work with strong opposite and contrasting elements. For example, instead of beautiful, graceful dance movements illustrating a piece of ethereal and beautiful music, we chose to focus on jarring, convulsive, sometimes almost spasmodic body movements in deliberate contrast with the softness and beauty of the music. These movements can be interpreted as expressing pain, but for us it's much more the life-giving currents of electricity, the birth pangs of a new machine feeling the first stream of electrons flowing through it's veins (circuits). The dance piece involves very simple dichotomies such as hard/soft, mechanical/organic, body/machine. One central conceit in our piece is that in terms of movement and expression, the machine (Erna) is always alive, mobile and vibrant, but the operator (played by myself with the Hammond organ serving as a "console") is stiff, immobile and expressionless (I'm not acting, b.t.w., this is very much my normal stage demeanor, I'm afraid!). The machine is more human than it's human operator. Again, this is not to be over-interpreted, but it's clear from the piece that our sympathies are with the machine, it's very far from being demonized in any sense. We're chronicling the first sparks of "life" of a machine that has been taught to do something it was not originally designed to do; to make music. It was this important fact that struck me, that the music of the IBM 1401 was made by exploiting a "defect" in the machine, i.e. the strong magnetic waves emitted by the core memory, waves which changed length (and thus pitch) depending on the operations programmed into the memory. For us, this "defect" thus becomes a random agent of mutation, pushing the machine to a new stage of evolution, one step closer (perhaps fancifully) to sentience. The fact this computer was "taught" to "sing" - given these primitive human qualities - gives us the poetic license to proclaim it a "missing link" in the evolution of AI, a real-life ancestor of "2001, a Space Odyssey's" HAL (HAL's name is, of course, formed by the letters immediately preceding IBM). Remember the song "Daisy, Daisy" sung by HAL in it's dying moments? The same song is sung by an IBM mainframe on the 1960's LP "Music from Mathematics", an album my father owned, and one I remember vividly from my youth. But this is also a funeral of sorts, a farewell to old technology and a reflection on its value. It's very much a celebration of old technology, going all the way back to the steam machines of Charles Babbage. One near-contemporary of Babbage was Thaddeus Cahill, the inventor of the Teleharmonium. This was an electromechanical musical instrument, which weighed 7 tons and was the size of a living room, which produced sounds using a tonewheel system. It is a direct ancestor of the Hammond organ, and thus also of the synthesizer. We chose the Hammond organ and its accompanying Leslie revolving speaker to represent the "computer" physically on stage, with Erna being more of a representation of the 1401's "spirit". The strongest inspiration for the piece came not only from the sounds or music of the computer, but also from the little speech that my father and his colleagues made at the start of the tape which documented the last "songs" of the IBM 1401, when it was taken out of service in Reykjavik in 1971 (see the full story on the web-site). This speech communicated the strength of the bond that these engineers felt for the machine and for me this sounded more to us like a farewell ceremony for a friend or at least something to which these men had formed a strong attachment. The exploration of this emotional bond between men and machine was what got us started. We try to blend dance movements with a set-design and music that reflects themes of techno-nostalgia/discarded technology, nurture (programming computers/raising children), human and artificial intelligence. The choreography uses elements of the body as machine and dance as a mysterious, uncanny and intangible energy, much like electricity and explores both mechanical movements and organic movements and juxtaposes the two, seeking to find the link between them. Finally I can only point to the many honours Erna has received from international dance critics - and the respect she enjoys in the world's contemporary dance scene. "De gustibus non est disputandum". I'm always happiest when I receive strong reactions to my work, whether they are positive or negative and this piece has certainly given us both kinds. The CD of the music stands on it's own, but it certainly has its roots in the dance performance, so for me this is an important, if distinct, part of the whole project. I hope some of the members of the IBM 1401 restoration team will some day be able to attend a live performance of the piece, whether it's music only or with Erna . Regarding your idea of proposing the composition to the San Jose Symphony, in cooperation with the Computer History Museum, I would be very happy to see that happen. There are plans to perform the piece with orchestras in France and Reykjavik this year and the next. "The Sun's Gone Dim" oozes intelligence – it's a single that is to be appreciated and acknowledged rather than simply enjoyed. It is taken from Johansson's IBM 1401: A User's Manual – an album inspired by a 30 year old recording of an IBM mainframe his father made on reel to reel tape. 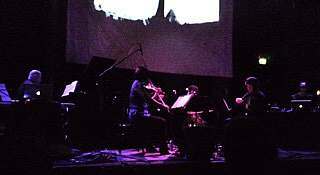 It is performed by a sixty-piece string quartet and features specially created electronics as well as the original recording of the singing computer. It is hauntingly melodic, emotive and powerfully atmospheric. It will surprise no one that Johansson has spent much of his career working on soundtracks of various forms – it is easy to imagine the piece as the score to a scene set on a snow swept mountain, perhaps even in his native Iceland. As a single it is difficult to think of a moment when such music would be appropriate yet it somehow remains incredibly endearing. It is unlikely to remain in your CD player for long but may well be one you come back to. My father, Francis O. Underwood, was also one of the original 1401 design gurus in New York and to find this album to give to him on his 80th birthday was such an amazing moment for us. We love the album and we applaud Johann's touching approach to memorializing such an important technological event. Buy it and share it with your saavy friends. I am so saddened to hear of your son’s passing! My heart and condolences go out to you and your family. All tracks written by Jóhann Jóhannsson and Sigvaldi Kaldalóns. ... Jóhann described the piece as a homage to his father, Jóhann Gunnarsson, IBM's CE for Iceland's first computer, a 1401. 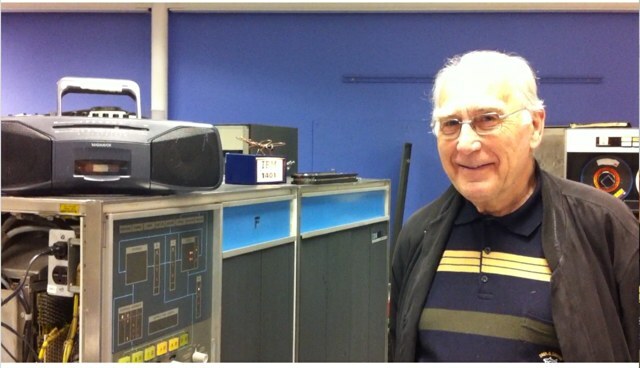 At its decommissioning and farewell ceremony in 1971, Jóhann's father had recorded Icelandic symphonic music using the 1401 AM radio program (which we having runing on our 1401s), the sound of five notes of which Johann overlays in the piece, along with the recorded monologue voice from an instructional maintenance tape for an IBM 421 Tabulator. In interviews, Johann expresses his feelings about his composition: " It's about this nostalgia for old machines, this a sort of tecno-nostolgia in a way, and also a kind of respect for the ancient. If a piece of technology has become redundant, it doesn't necessarily loose its worth." Jóhann is now collaborating with the renowned American film-maker Bill Morrison to create a musical and visual homage to the vintage 1401, featuring an expanded version of his symphony. Its four movements are labeled "1401, 1403, 1402, and 729". 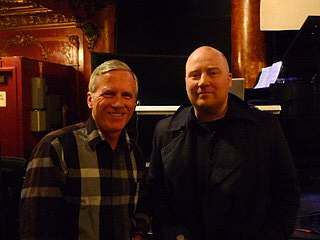 In a 2007 interview on NPR's The World, Johann described the piece as a homage to his father, Jóhann Gunnarsson, IBM's CE for the 1401 and Iceland's first computer. At the 1401's decommissioning farewell ceremony in 1971, he had recorded some popular Icelandic symphonic music via the 1401 AM radio program (which we having runing on our 1401s), five notes of which Johann used in his composition, along with the recorded voice from an old instructional maintenance tape for an IBM 421 Tabulator. In interviews, Johann expresses his feelings about his composition: " It's about this nostalgia for old machines, this a sort of tecno-nostolgia in a way, and also a kind of respect for the ancient. If a piece of technology has become redundant, it doesn't necessarily loose its worth." Both Johann and his father greatly enjoyed their visits to our operational 1401s. You may find more of his works on Youtube. Hope you enjoy these samples.